His Name Became An Adjective – Now His Work Has Been Saved. In America it’s a Rube Goldberg contraption, but here, predating Goldberg, it’s always been – and remains – a Heath Robinson contraption. I seem to have a great many books by the magical Mr Robinson and loved them as a child. Now hundreds of pictures by the illustrator who became a byword for eccentric, ingenious devices have been saved for the nation. The cartoonist has been cited as an inspiration for the inventions featured in Wallace and Gromit and by Thomas Heatherwick, who designed the 2012 Olympic cauldron, but Robinson was also a serious illustrator. The collection of 410 drawings and paintings were going to be broken up, but £300,000 in grants from National Heritage Memorial Fund and £50,000 by the Art Fund will keep them together for public viewing. These are the volumes I have, but there are a great many more. However, the original volumes are really getting expensive now, and I’ve never actually seen one of the drawings in a gallery – are they all in private hands? 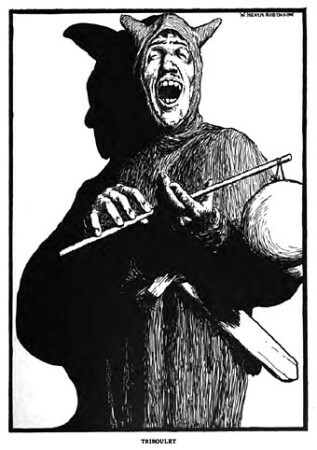 Robinson, described by His Dark Materials author Philip Pullman as a “great man”, won fame for his cartoon drawings of endearing inventions, especially those of machines, which he began producing in 1904. 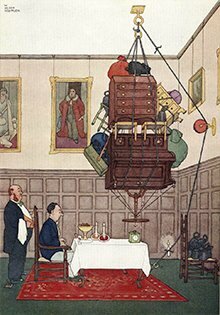 As early as 1912, the term “Heath Robinson contraption” was recognised by dictionaries. 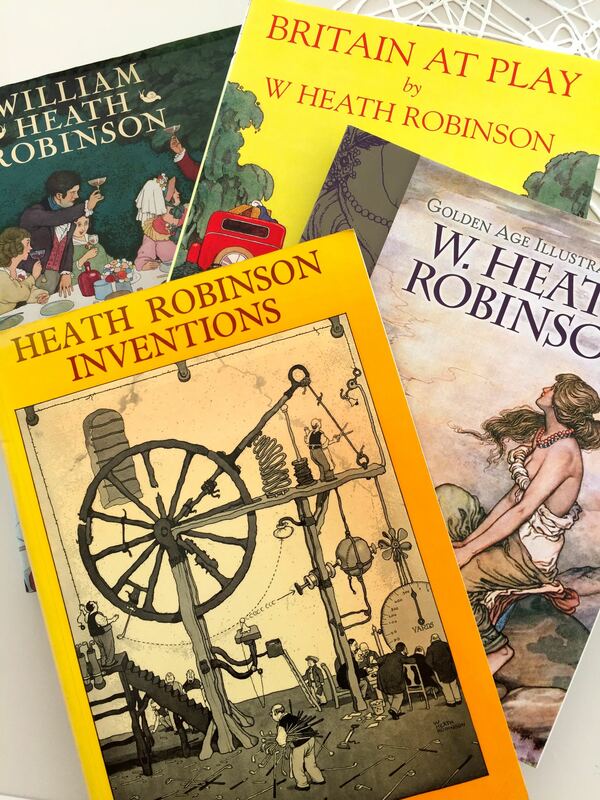 His pictures were so well known and loved that during the Second World War the code-breaking machine that pre-dated Colossus was named Heath Robinson. His work in volumes like ‘How To Live In A Communal Home’ is charming and lunatic but catches the spirit of the times perfectly. He embodies the backroom boy mentality of the 20th century, when there was an emphasis on DIY and ingenuity over lack of money. But there are a great many more serious-minded and elegant pen and ink drawings illustrating books of fairy tales and folk stories. 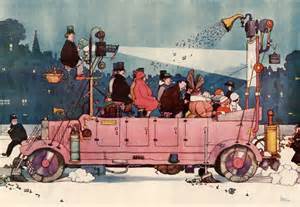 What makes it really confusing is that his father, Thomas Robinson, and his brothers, Thomas Heath Robinson and Charles Robinson were all well-known illustrators too.